Anaya was craving for Pedas one day. With very limited choice of ingredients the challenge was to soothe her sweet tooth. I checked my pantry and the idea of making Cashew Nut Pedas struck me. Google is god as always. A little bit of research and the ingredients were lined up. The end result was simply delicious. Grind together soaked cashew nuts and sugar to a smooth paste. Heat a heavy bottom pan, melt the ghee and put the ground cashew paste and stir well. Add milk and keep stirring till you get a lumpy mass that does not stuck to the pan. This takes approximately 7 minutes. Mix in the cardamom powder and switch off the gas. Allow it to cool down a bit and shape them into pedas. 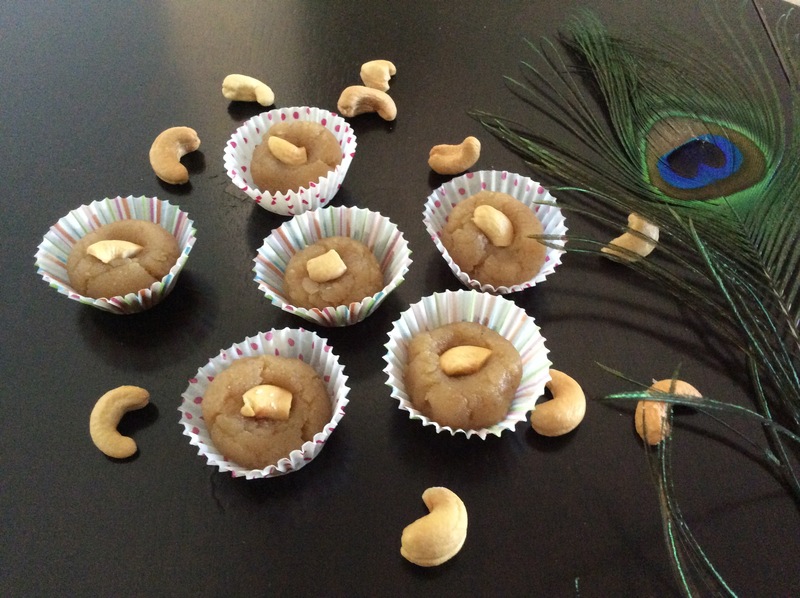 Posted on October 14, 2015 by Varsha	• This entry was posted in Desserts and Sweets. Bookmark the permalink.